Karen Cushman's funny and poignant novel about a 14-year-old girl's fight for freedom from her family's expectations. Shaggy Beard wishes to take me to wife! What a monstrous joke. That dog assassin whose breath smells like the mouth of Hell, who makes wind like others make music, who is so ugly and old! Corpus bones, I must make a plan. Luckily I am experienced at outwitting suitors ...Catherine's in trouble. her father is trying to marry her off to disgusting old Shaggy Beard, and her mother's determined to turn her into the perfect medieval lady. Will either of them succeed? Not if Catherine has anything to do with it! 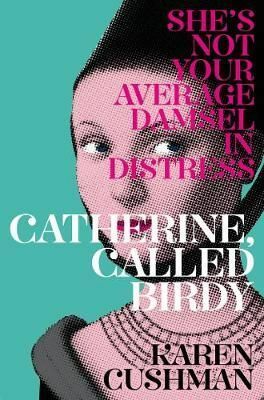 Catherine, Called Birdy is Karen Cushman's funny and poignant novel about a 14-year-old girl's fight for freedom.